Developing a WordPress theme from scratch does not have to be difficult. But you do need to know about various technologies to build a sophisticated theme. It is very much the same case if you are interested in heavily modifying your existing theme. 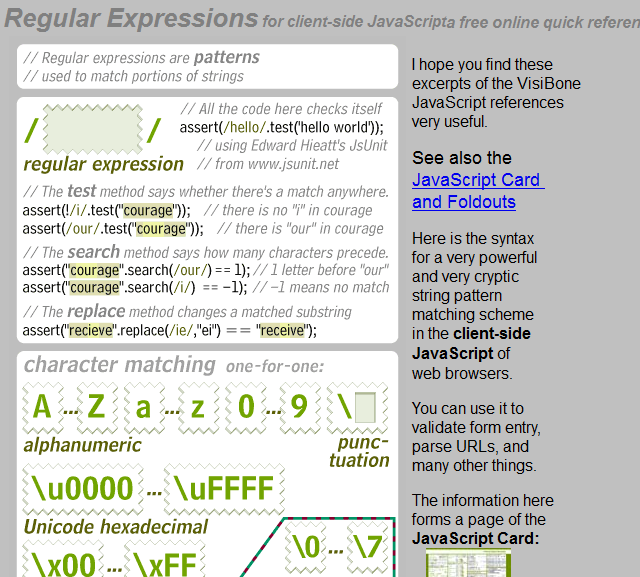 These cheat sheets should help you get a refresher on some of these web technologies. 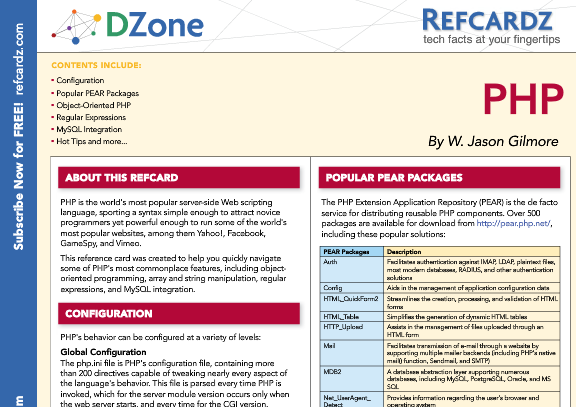 PHP Cheat Sheet (V2): a classic cheat sheet that shows you how to handle PHP programming more effectively. Not a bad reference to have around. 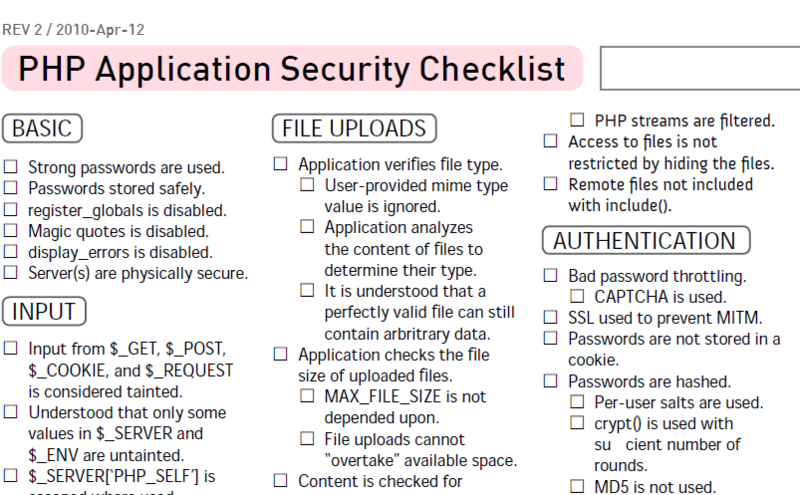 PHP Application Security Checklist: every PHP developer should pay attention to their code and keep it as secure as possible. This check list could prove helpful in that regard. 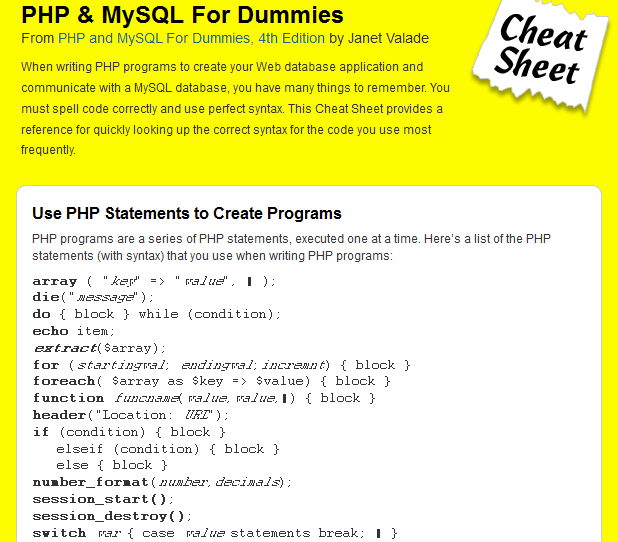 PHP & MySQL For Dummies: a simple cheat sheet that shows you how you can create dynamic websites by taking advantage of PHP + MySQL. 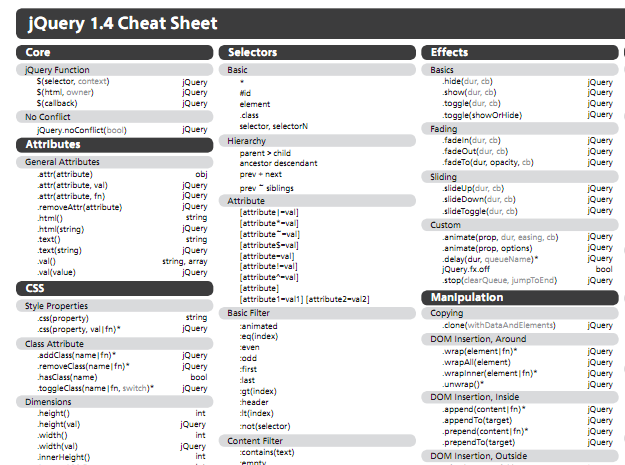 Advanced PHP Cheat Sheet: an awesome cheat sheet for PHP programming language with plenty of examples to show you how to do things. 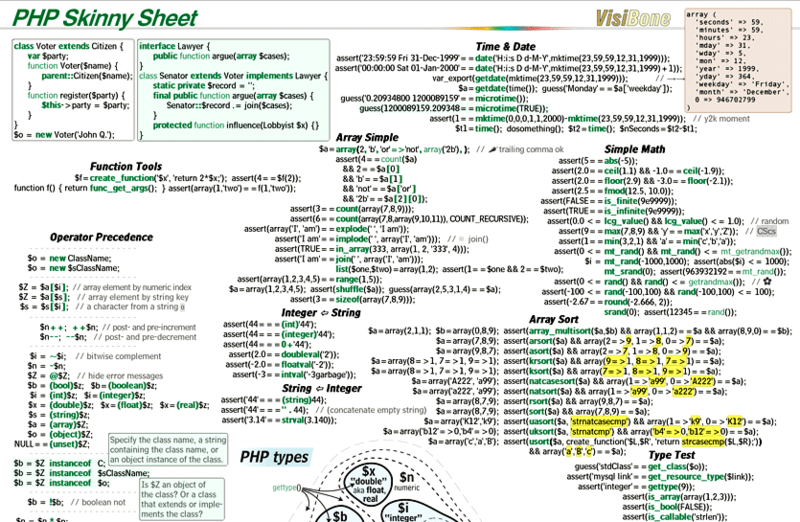 PHP Skinny Sheet: one of the best cheat sheets around. It covers almost everything one needs to be familiar with to get started with this programming language. 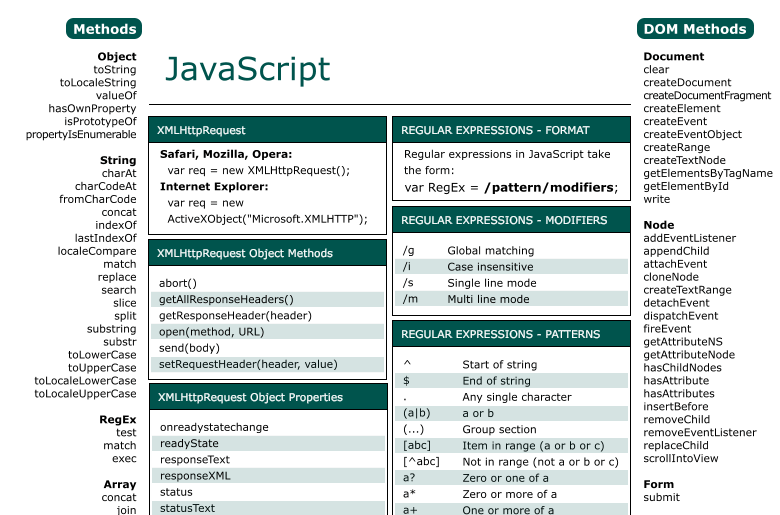 PHP Sheet: an all around high quality cheat sheet for PHP that covers OOP, array and string manipulation, regular expressions, and MySQL. 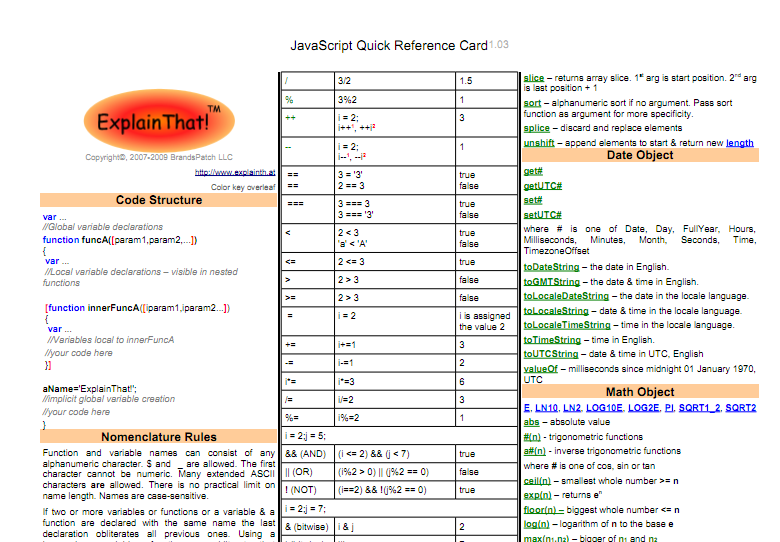 jQuery 1.5 Visual Cheat Sheet: it has everything you need to tackle jQuery programming more effectively. Nice one for your office. 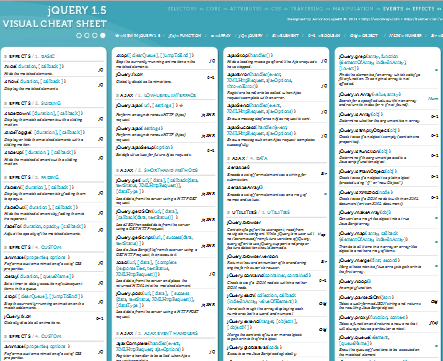 jQuery 1.4 cheat sheet: covers CSS, selectors, effects, AJAX, and other jQuery 1.4 related topics. It is well organized and can save you time looking up things. 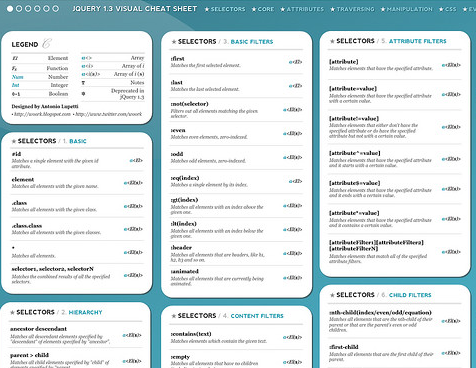 jQuery Visual Cheat Sheet: provides you with a visual guide to jQuery 1.3 programming. It has detailed information and has some sample codes too. 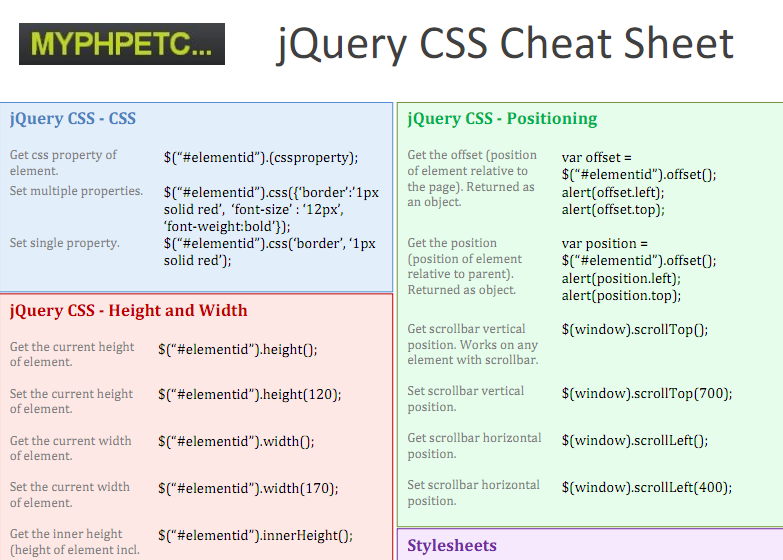 jQuery CSS Cheat Sheet: shows you how to incorporate jQuery into your code and use it in conjunction with CSS technology. CSS3 Click Chart: an interactive web sheet for CSS that provides you with information and samples on various CSS elements. It should work well for beginners too. 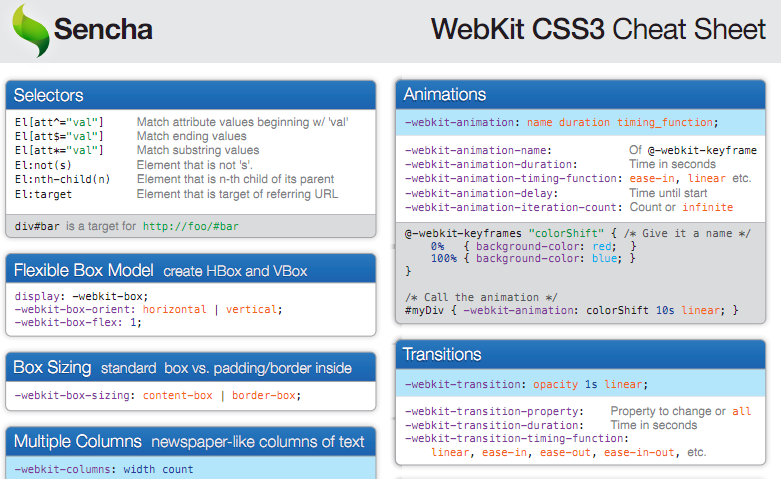 WebKit CSS3 Cheat Sheet: a short and sweet cheat sheet for CSS 3. It covers transitions, animations, selectors, and much more. 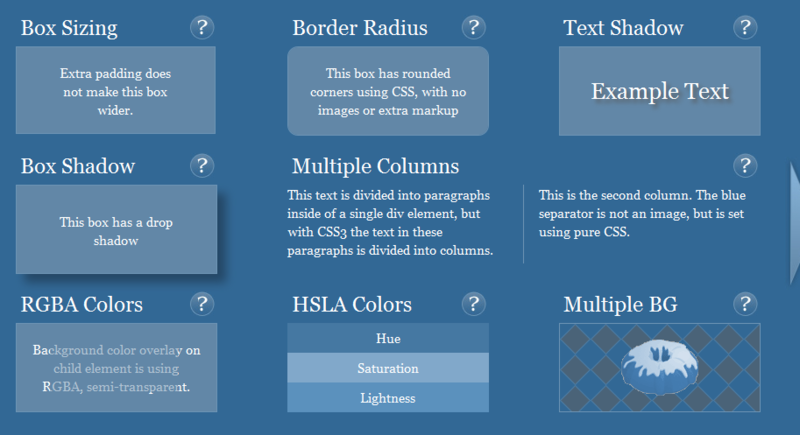 CSS Help Sheets: need quick help to get unstuck in your CSS3 project. This help sheet looks very clean and organized and does the job. 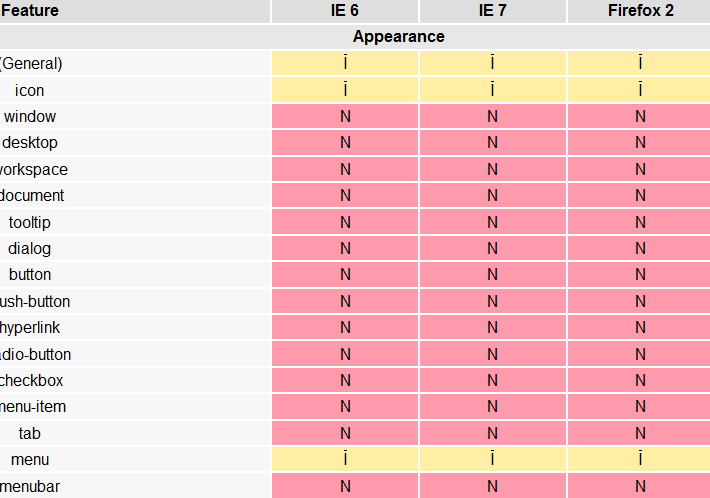 Web Browser CSS Support: provides you with the information you need to develop code compatible with major browsers. Not a bad reference to have handy. 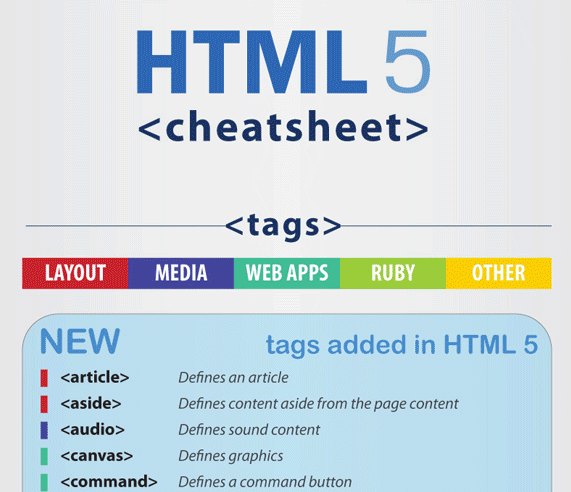 HTML 5 Cheatsheet: an attractive infographic that covers all the tags you need to be familiar with to develop sophisticated HTML 5 code. 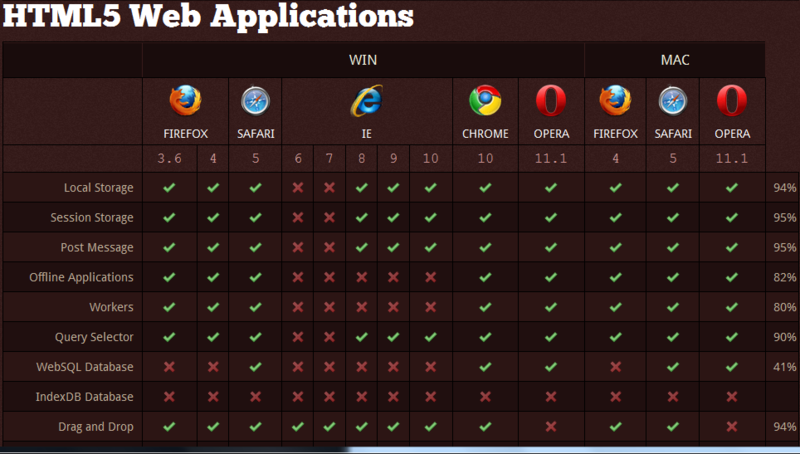 HTML5 & CSS3 Browser Support: want to develop code that is sophisticated with as many browsers as possible? This chart can help. HTML5 Security Cheatsheet: another useful sheet on HTML5 that can give you a deeper understanding of what this technology is all about. 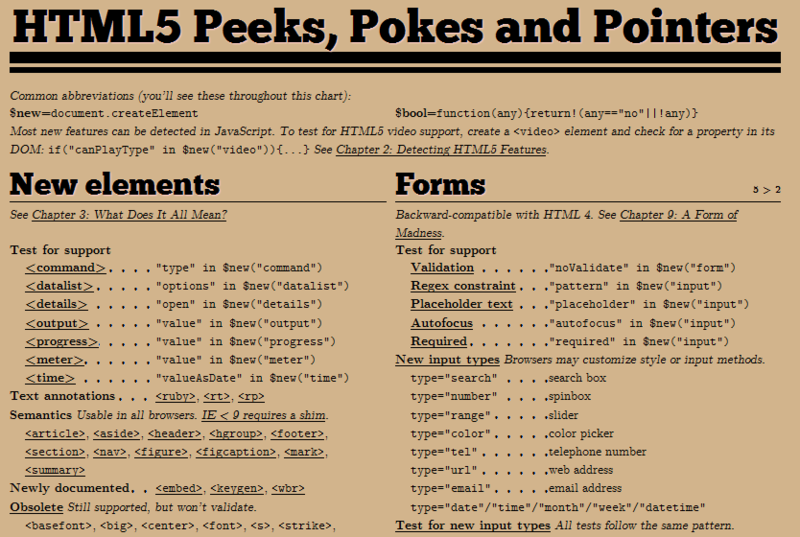 HTML5 Peeks, Pokes and Pointers: a thorough HTML5 reference for anyone interested in getting started with HTML5 development. It has plenty of useful pointers. WTF is HTML5: not sure what HTML5 is all about ? 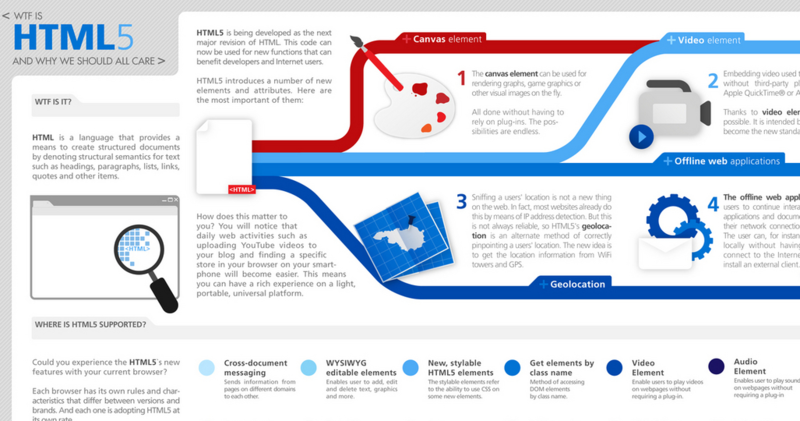 This visual shows you some of the advantages of using HTML5 for your upcoming projects. 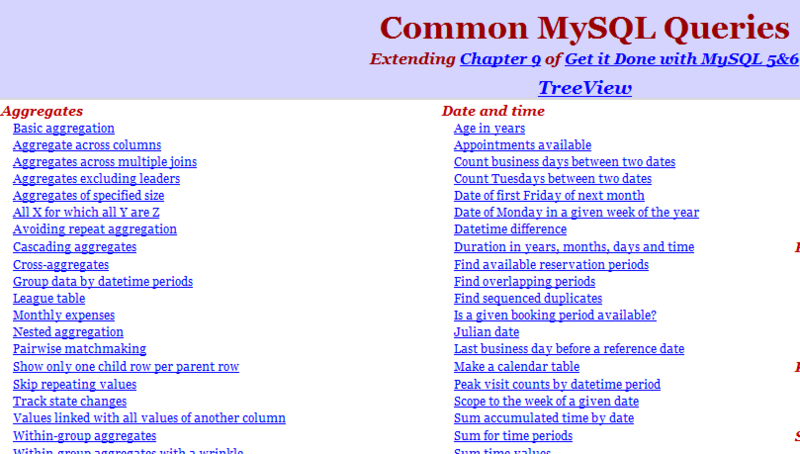 MySQL Cheat sheet: one of my favorite sites on MySQL. It covers ways you can incorporate SQL into your website. 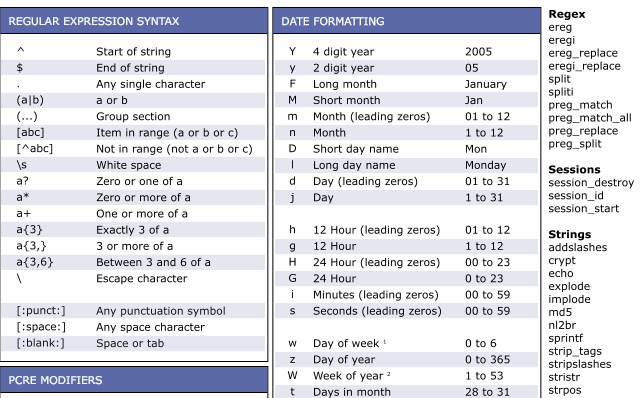 It makes writing SQL code as easy as copying/pasting. 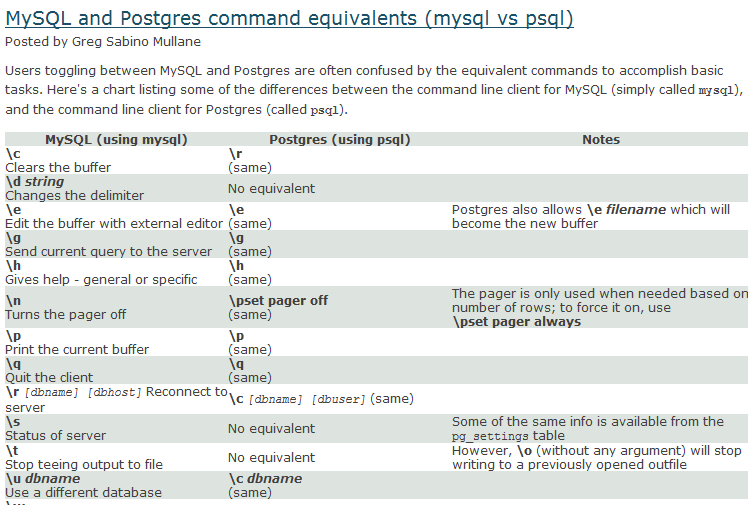 MySQL vs. Postgres commands comparison: both MySQL and Postgres are powerful systems. But there are subtle differences between their commands. This comparison chart shows you some of these differences. 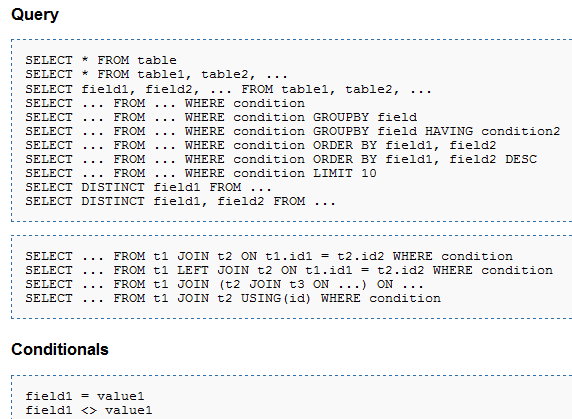 Common MySQL Queries: want to write your own SQL queries but need some examples to get started? This cheat sheet has you covered. 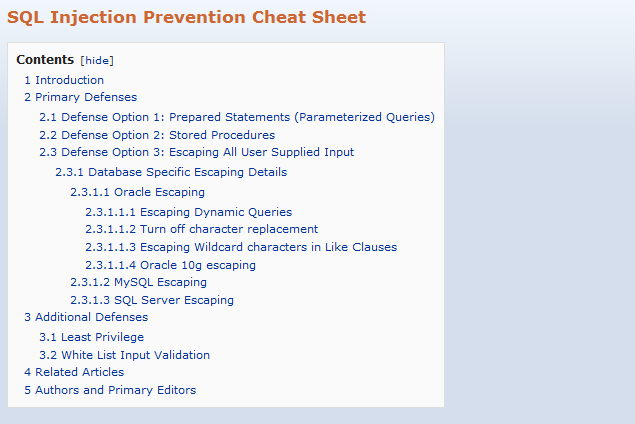 SQL Injection Prevention Cheat Sheet: SQL injection attacks are nasty and can damage your website severely if you are a victim. 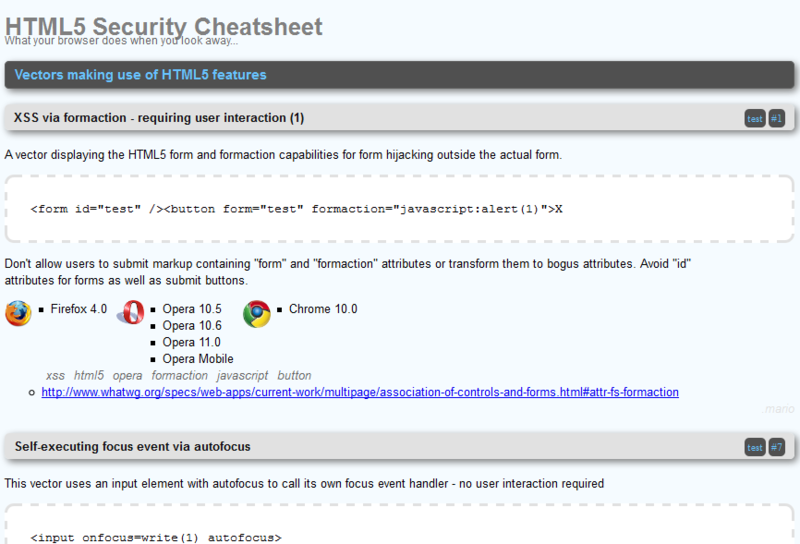 This cheat sheets shows you how to defend your code against these attacks. 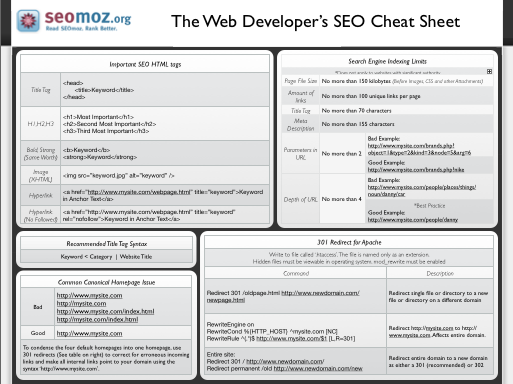 The Web Developer’s SEO Cheat Sheet: a work by seomoz that shows you how develop websites with SEO in mind. Teaches you which HTML tags are the most important. 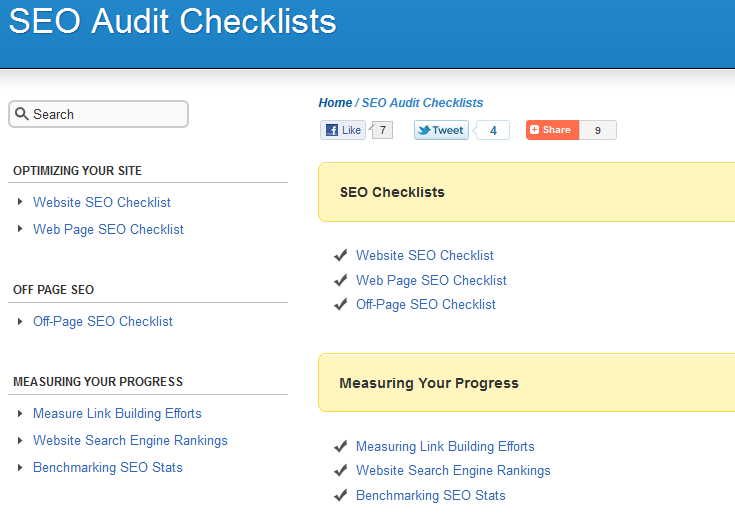 SEO Audit Checklists: it contains a number of checklists to help you optimize all aspects of your website (on-page, off-page) for the search engines. SEO Best Practices: an awesome table that shows you which aspects of your website you can focus on to improve your search engine rankings. 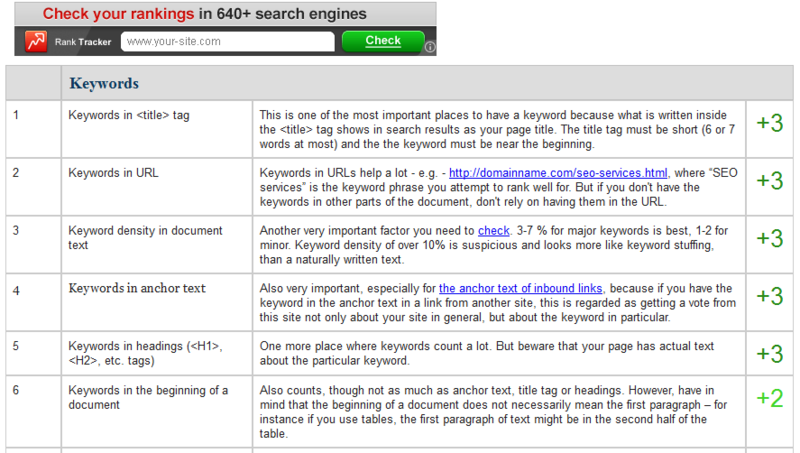 SEO Cheat Sheet for WordPress: targets WordPress users strategically. It shows you how to optimize your WordPress sites for the search engines (by improving your URL structure, code, and much more). We have already listed 10 powerful cheat sheets for WordPress on this site in the past. 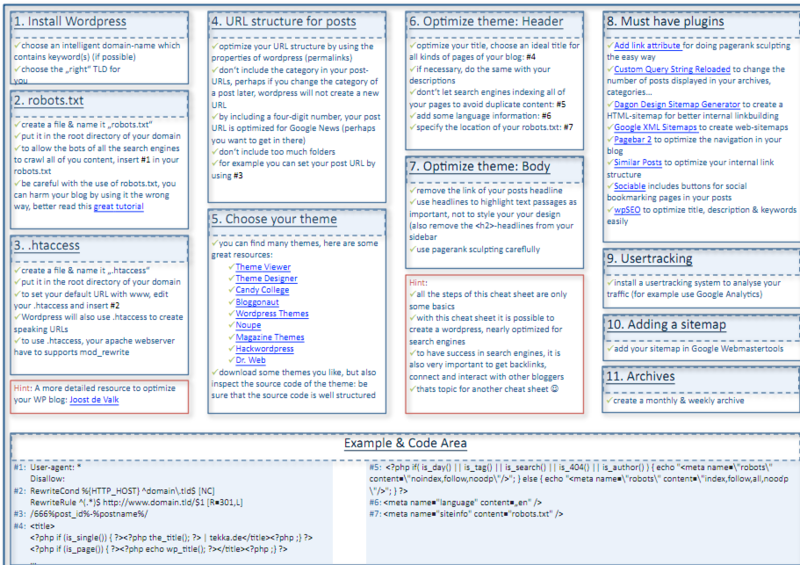 These cheat sheets teach you how to design your theme, which functions you can use to take your code to the next level, and much more. Have you got any suggestions? Please include your links below.